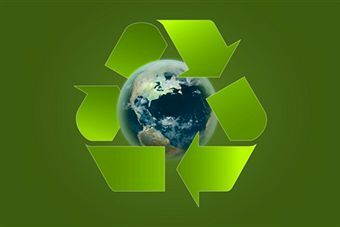 Times are changing as the idea of “Going Green” becomes more and more popular and prevalent throughout the world. Knowing what footprint you are leaving upon our environment is not only important but consciously doing something to help preserve our natural resources for future generations, is the responsibility of us all. You can begin in your home. 1. Install low flow shower heads to cut back on the amount of water that is used while showering. These are called energy efficient shower heads because they decrease energy consumption due to less water being heated. 2. Install low flow toilets. They use less water per flush than a more traditional setup, roughly 1.6 gallons of water per flush. Older models use as much as 3.6 gallons. A low flow toilet can save thousands of gallons of water per year, per household. They break down the flow of water into small drops, allowing usage of less water while still maintaining effectiveness for washing your hands, etc. 4. Install an efficient hot water circulator during your remodel. Tankless water heaters are great for endless hot water but think about including a circulator as well. Nobody wants to siphon water from their hot water lines when flushing their toilet or watering their lawn. So do your research and ask questions because your families comfort and lifestyle will be affected for years to come. Don’t do it because you don’t want to pay a plumber to install the proper equipment. Do it because you’ll be doing your part to help save on a natural resource that is being depleted insurmountably. There are also plumbing products that are already environment- friendly! Take for example, aerators that have eco-performance. It optimizes water and maintains pressure to restrict water flow. People see the need for it, that’s why they managed to create those products for one purpose: save energy and give homeowners a healthy living!